I confess I hardly go out of Zara without buying something, even a small thing...I sometimes amaze myself at the money I can spend there cause it's true prices are good but I end up spending much more money when I enter low cost shops, cause I don't think twice before buying something...I tell myself I should stop for a minute to ask myself "do I really need this ?" but anyway I am master at finding a good excuse to my shopping...so when I ask myself "do I really need it ?" the answer is always..."yes !!! I really do !". Don't even try to imagine how fastly I realized I needed a mustard colored coat, a few weeks ago...I mean, mustard is a perfect color for autumn and this year it is one of the trendiest colors to wear...I think it goes well with my skin tone and most of all the shape was so cute ! Plus, there was only one left in my size at local Zara...and it wasn't expensive at all...do I need to add more excuses ??. Confesso di riuscire raramente ad uscire da Zara senza un acquisto, anche se fosse solo una piccola cosa...a volte mi sorprendo dei soldi che riesco a spenderci perché, se è vero che i prezzi sono più competitivi, è anche vero che finisco per spendere di più nei negozi low cost perché non penso due volte prima di comprare qualcosa...dico a me stessa che dovrei fermarmi un attimo e chiedermi "ne ho davvero bisogno ?" ma, ad ogni modo, sono una esperta nel trovare ottime scuse al mio shopping...così, anche quando mi chiedo "ne ho davvero bisogno ?" la risposta è sempre "sìììì, veramente !". Non provate neanche ad immaginare quanto sia stata veloce nel capire che avevo necessità di un cappotto color mostarda, qualche settimana fa...voglio dire, questo color mostarda è perfetto per l'autunno ed è uno dei colori più alla moda quest'anno...penso si adatti bene al mio tono di pelle e soprattutto il taglio era così carino ! In più, aggiungete il fatto che ne era rimasto uno solo nella mia taglia dal mio Zara di fiducia...e non era costoso....devo aggiungere altre scuse ??. So here it is, directly from my closet...worn with a pair of new Cheap Monday jeans (new shop in town selling them + good price + comfy + quite high waisted = bought in 30 seconds ! ), H&M top (deers ? Glittery ? Taken !!!) and leopard scarf (as if I needed a good reason to buy something animalier, with my leopard print obsession, I can add it contains cashmere wool and I am a sucker for cashmere items !) and Icone boots (when I found them I thought they matched perfectly that Juicy Couture bag...and yes, they do !). The wind was quite chilly and I was trying to keep my hair in the right place...don't you just hate it when your hair goes all in your face and draw something with your lipstick on your cheeks and glasses ? :-) Why is it so glam to have your hair moved by the wind in music videos and movies and whenever it is windy I feel like a total fool, instead ? Well, the wind can be a good excuse to find a shelter in a nice shop ;-). Così, eccolo, direttamente dal mio armadio...indossato con un paio di nuovi jeans di Cheap Monday (nuovo negozio in città che li vende + ottimo prezzo + comodità + abbastanza a vita alta = comprati in 30 secondi ! ), maglia di H&M (cervi ? Luccichii ? Presa !!!) e sciarpona leopardata (come se avessi bisogno di una buona ragione per comprare qualcosa di animalier, con la mia ossessione per le stampe leopardate, posso aggiungere che contiene del cashmere e io adoro gli articoli in cashmere !) e stivaletti di Icone (quando li ho trovati ho pensato che andassero benissimo con la mia borsa di Juicy Couture...e infatti, è così !). Il vento era abbastanza gelido e stavo cercando di non tenere i miei capelli al posto giusto...non odiate quando i capelli vanno tutti in faccia e disegnano qualcosa con il rossetto sulle vostre guance e occhiali ? :-). Perché la scena dei capelli mossi dal vento è così glam nei video musicali o film e invece ogni volta che è ventoso io mi sento come una completa stupida ? Beh, il vento può essere una ottima scusa per trovare rifugio in un bel negozio ;-). Shoes and bags were meant to be together ! Nail polish: OPI - can you tapas this ? What about your fave tv series ? Do you have any good advice to give me ?. Che mi dite dei vostri gusti in fatto di serie tv ? Avete qualche buon consiglio da darmi in proposito ?. Great look, love the bag, it's fabulous! YES PLEASE! 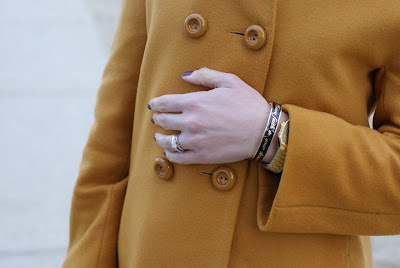 I love how you paired mustard and camel colors together. the animal prints add a nice touch!! in effetti è molto carino e ti sta davvero bene! Love the coat, so beautiful!! And the color is amazing! Lovely outfit. So perfect for autumn. I like it! I like a lot the coat and your outfit. mustard is one of my favorite colors for fall! This color is really "in", I really love her ! And I'm just like you, I also wonder if i really need to buy this or that. Some are able to call a default, I call it "like" ! I can't restrain myself from buying something as beautiful as it is. Nice sweater. Great set. I like color of the coat^^. love the way that you're dressed. that mustard color is so awesome! That coat is gorgeous! I love the colour on you! stai benissimo e quel cappotto è davvero carino! anche io sto seguendo gossip girl in inglese, non riesco a farne a meno! invece io tifo per il principe perchè Chuck mi ha stancata.. I LOVE it.. Not everyone can pull of mustard but you definitely do.. Super fab. such a great outfit! 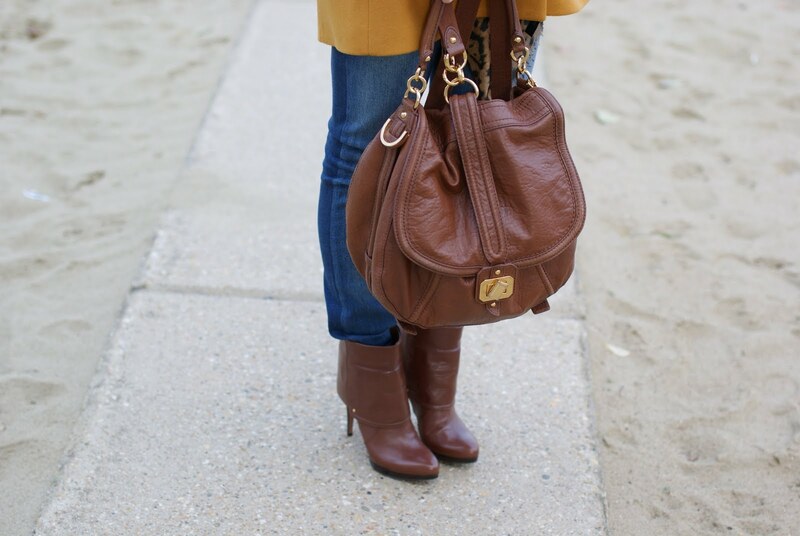 love the mustard color paired with brown boots and bag! love the colour of this coat! I love that color its so pretty. and the buttons on the coat are nothing but fabulous. I am totally like you at Zara and it is very dangerous! but your jacket is so lovely, love the color! Muy buena idea comprar ese abrigo por que es precioso, te favorece mucho. Me ha encantado el look, un besazo. wow!! i really love your coat, is amazing! I'm a huge fan of mustard. Love the coat and how it matches the entire outfit. Oh Zara! Love that place! So glad we don't have one in Seattle...yet. I would be broke. this colour is really nice for a coat! Como você é linda, super elegante!!! Adorei o look, mustard é hit total, achei um luxo!!! Obrigada pela visita e por seguir, já estou te seguindo também, claro! love this colour! and the coat is perfect! You look gorgeous as always!!! Love your mustard coat!!! I'm like that too. Hardly can walk out of Zara without buying anything or rather, wanting to buy anything. Thanks for commenting on my blog (a while back). I lovee yours! A new follower! love all the mustard colors going on this season! Lovely coat and bag! I really like! The coat is great and the color is so in right now. thanks for your comment :) love mustard colour, if you like our blog and you want you can follow it. this look is perfection on you! I love the color combo- I have a similar thing going on my blog- but it's warmer tones! Check it out! thanks for stopping by my blog, yours is very feminine and I love it! I will visit often for fashion and recipes so good, lol. So cute and I'm in love with mustard this season and you make that color really work! You look fabulous. Great coat! You look amazing ! Such a perfect look ! Very chic ! Thank youuu deaar =)) We also like you look.. we didn't saw you... now we Follow you! You look amazing in that coat, that color is my favorite of mine in this season. You look great in mustard! I have a very similar coat I got from Nordstrom but i also LOVE Zara! Gracias por tu visita a mi blog! Estoy muy agradecida. Me encantó el outfit, te sienta genial. Besitos! great idea to follow each other! I will defenitely follow you! This is such a lovely outfit; I adore the mustard colour - equally as much as I love Zara! Bit too pricey for my student budget but still..a girl can dream right? Your ankle boots and your bag look awesome in combination with the mustard coat. WOW! Mustard coat is wonderfull and bag? Awesome! I love them both! Ciao Bella! Yesterday i was trying send u a message but i couldn´t. I love your outfit, i think that mustard is one of the colours of this moment. With brown is so perfect! I love read your blog in italian too, i love italian language! you have a new follower! hey :) thanks for the comment! and I do love your outfit very much. it's simply perfect for fall. Thank you for the comment! Like your new coat, and yeah, there´s always a good excuse to buy something we like. I will follow you if you follow me, ok? Thank's so much for commenting on my blog and I'd be very glad to follow each other, I'm following now! I took a look at your blog and I loved it! Congratulations on the photos, blog design and your personal style! from now has a new fan! thank you! me encanta el abrigo, tiene un color precioso!!!!! Love your blog!! Follow each other??? Please!! Thank you so much! I love your outfit. Very beautiful! Especially your coat! davvero meraviglioso questo outfit!! Il cappotto però l'ho già visto giusto oggi indossato da Rosaspina Vintage ;-) E' bellissimo, assomiglia al mio!! Il maglioncino H&M è delizioso.. bello bello !!!! I love the bag, the boots, the coat, the jeans - I love it allll - thanks so much for stopping by - new follower on board. Love the coat! Especially the colour. It's amazing! Really nice your blog!! and your new coat!! THANK YOU SO MUCH FOR VISITING MY BLOG, I LOVE MUSTARD COLOR ESPECIALLY FOR WINTER, IT ADDS FUN TO OUR LOOK. I absolutely love this outfit! I would never dare to wear a bright coat like that, but it works! Thank U for vist my blog. I follow you too. I like you blog very much. The color of your coat its so wonderful! I love it! I love abrigo!!!! El color es precioso y el jersey monísimo. Te sigo y si te gusto mi blog, sigueme. Che carina che sei! E il tuo blog mi è piacciuto davvero! Ti seguo bella! e grazie per il tuo comentario! Bacci grossi e tanto rossi! Il tuo outfit è bellissimo. Seguo da oggi il tuo blog che mi ha colpito molto! How have I just now seen your blog??? I love it!!! Will be following now! Yes yes yes mustard please!! Love this look!!! I love mustard hues for fall! That coat is gorgeous. Love your blog, anyway. It's beautiful. I love mustard. Your coat is amazing! I love your blog, and thank you for your comment♥We follow each other if you want! amazing shade of mustard! Loving this coat, the structured shape really works well with the color! I didn´t know your blog but I love it! I follow you! You were totally right to buy it! Its gorgeous and looks great on you. 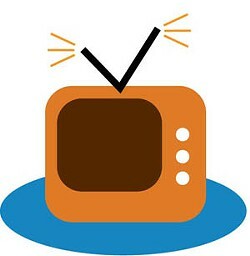 Love the entire ensem and your rundown on fave TV shows! Thanks so much for visiting me and yes,let's absolutely follow each other!!!! I wish I could pull off mustard as well as you! I love the coat, the colour is very cool! The sunglasses are so cool!! I love your style ! =) I'm so jealous because I'm not brave enough to wear such a high heel shoes, although I really enjoy the way they look like! Hope that your style will be an inspiration to me and I finally stop feeling shy and uncomfortable with that. You rock the mustard color, girl! Love your blog, I'm a new follower! Mustard is such a hot color right now. It looks great with that handbag! thanks for the comment on my blog! just started to follow your blog! I totally know what you mean about going into Zara, I always find something! This mustard color is so hot right now and you look amazing in it with the boots and purse too. just too cute,the mustard color really looks amazing on u.
Thx for passing by,amazing blog,following u now, please pass by again. <3 the look!! I too get sooo annoyed with the wind! I actually prefer the rain to the wind atleast then u can accesorize with a chic umbrella! I am re-watching all of the series' of Lost at the moment. They are excellent! my soap tip of the day is the rachel zoe project. it's totally drama and very inspiring. enjoy your lovely new coat. looks fantastic! you have a nice blog too. Thanks for visiting my blog and also for inviting me to follow your blog. I love it, and I also lve the fact that you speak italian because I want to learn it so bad! I love your juicy bag woWza!!! and the black balenciaga in some other pics! Thanks for the comment to my blog. I have followed you. And you?